I've been watching my buckeye leaf out for about a week. Buckeye blooms this year would make my spring, too! 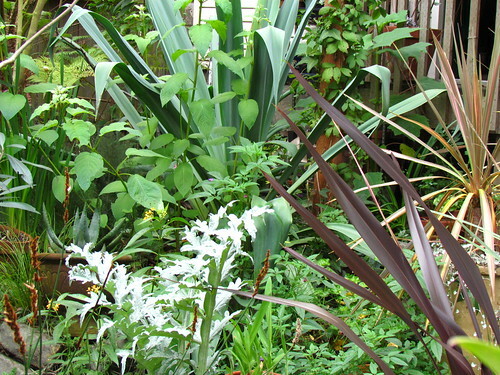 It's really not fair for your garden to have so much lush green foliage at the end of January. 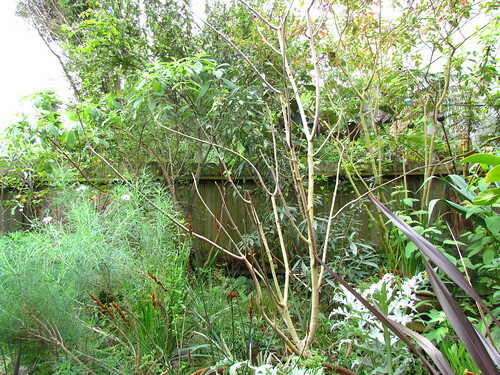 The fact that we're not having a real winter hasn't stopped my garden from turning all brown and dead-looking. 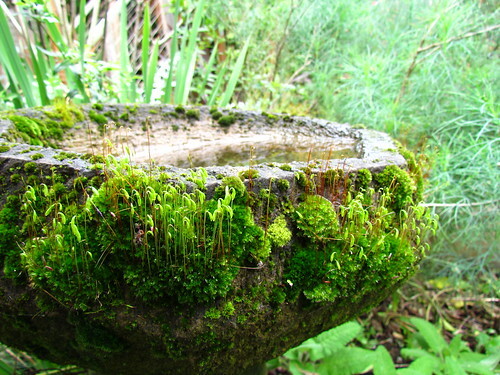 LOVE the moss on your birdbath! The glass balls are fun... 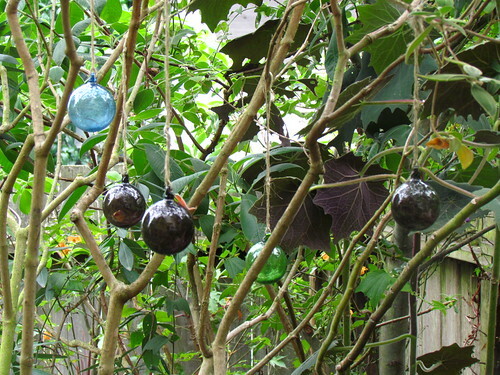 I'd have to hang them with something other than twine here because the squirrels would chew the twine just to watch the glass fall and break. ok, well, they WOULD chew the twine. LOVE your comment about the idiot designer. I have a tendency towards grand hyperbole when I speak or write and people who take me literally drive me crazy. Always trying to correct me or rolling their eyes at me. Sometimes I feel like I am from a different planet. 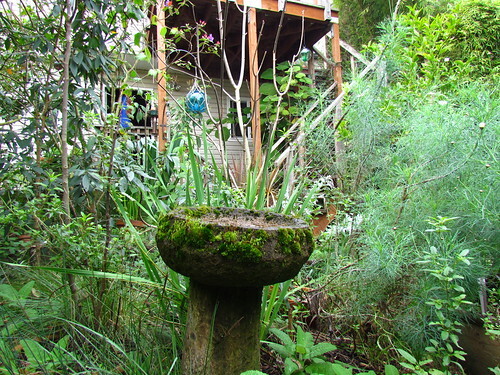 And that birdbath is beautiful with or without moss. The English language, and maybe all of them, are instruments for artistic expression. Thank goodness some people have a creative streak. Thanks and hope you can make it! 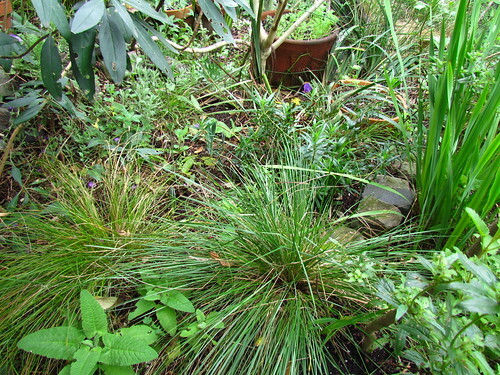 I really like the wild appearance of your garden these days. Who needs winter anyway? It's great to have the glass balls remind you of Rome! !